The 3M Medical Materials and Technology group is working on innovative applications such as wearables and lab-on-a-chip diagnostic products. 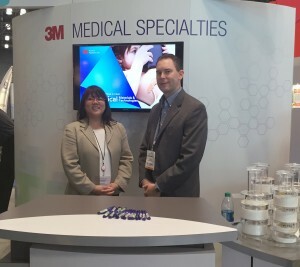 In recognition of the evolving landscape in the medical device industry and the need to provide a designed-in strategy to customers, 3M Medical Specialties has relaunched with the new name 3M Medical Materials and Technologies group. The change reflects the collaborative approach the group is taking in working with its customers on material integration into products and ensuring their involvement at the start of the design process has a positive impact on the ultimate function of a device. 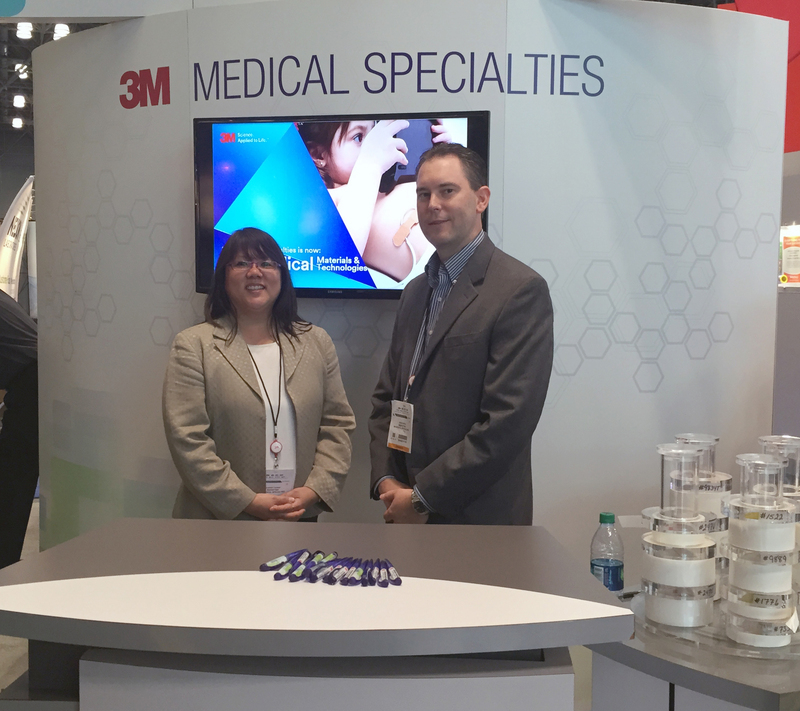 In a Q&A with MedTech Intelligence, Sheila Nichols, business director at 3M Medical Materials & Technology, discusses the group’s focus moving forward and how it hopes to affect the healthcare market. MedTech Intelligence: With the evolution in technologies, what is behind 3M’s relaunch and new market approach? Sheila Nichols: The market is changing and we need to keep up with it. The key spaces we talk about are lab-on-a-chip and wearable sensors. Both of those categories are affected by what’s happening in the marketplace: Trying to reduce the cost of care in the United States and outside the United States; and being able to remotely monitor the different aspects of the patient to treat them without the need to physically go to the doctor’s office. This ties in with the trend of moving care outside the hospital and to the least costly site to treat the patient. There are so many amazing things happening in the marketplace to fuel this trend, and we needed to keep up with what our customers are doing. 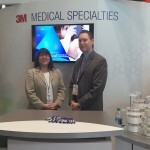 Audrey Huang, business development manager, and John Dugas, global business manager at the 3M Medical Materials and Technologies at MD&M East. MTI: In the context of integrating materials into the new generation of smart technology, what benefits are provided to applications such as wearables and lab-on-a-chip platforms? Nichols: At a high level, we’re working with the majority of our customers on getting a wearable device to adhere to the skin. There’s a lot of technology involved in that, and our customer’s expertise tend to be in the sensor itself, the monitor, and how it links to a smartphone. However, the technology of getting it to adhere to the skin and being wearable over time is key, and the adhesive technology is one of our areas of expertise. We know how to get things to stick to the skin, but it also has to be comfortable, breathable, and protect the sensor. There are a lot of different technologies we can provide in the adhesive portion and keeping the layers together. Some of these sensors may look simple, but may contain 11 different layers to the device, and those components must adhere together. Our other area of expertise is in microfluidics technology, or lab-on-a-chip—films that transfer fluids across the surface. If you think about a glucose test strip, for example: A long time ago you had to go to the hospital or the doctor’s office to have blood glucose monitoring done. Now it’s the ultimate lowest cost of care where you can test yourself at home. There’s a lot of technology in each one of those strips. When you put the drop of blood on the end, it flows into the strip at a certain speed and works with the electronics to measure your exact level of glucose. This technology uses our hydrophilic film. MTI: At what point does 3M become involved in the product development process? Nichols: We like to be upfront and help with the design-in process, because it’s not just the adhesive, it’s also the design. We have our technical service team, as well as people who focus on the U.S. and globally—they have been working on these types of applications for years and can really help upfront in the design-in process to help determine materials that work together. 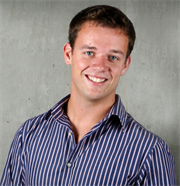 If we become involved later, it becomes more difficult because we actually have a customer who has already developed a sensor, for example, and depending upon the size, the thickness, and what it’s made out of, it might not be flexible. Then it becomes much more difficult to adhere to the skin for longer periods of time. The earlier we are involved, the better off we are on both ends. MTI: What are some of the challenges in developing integrated technologies that need to adhere to the skin for a longer period of time? Nichols: If you think about your skin and its natural oils. How many times a day do you wash your hands or take a shower? You have to protect the electronics and you need the sensors to last for a period of time. In addition, your skin cells slough off over time, so the question is, if you want it to last for more than seven days how are you going to accomplish that? That’s one of the challenges of the marketplace, and we’re working on how to get longer wear out of it so that it’s more cost effective to the patient. MTI: What are some of the near-future device applications that will see the most development in the integration of smart technologies and new materials? Nichols: We’re working with customers on both the consumer and the healthcare side. The applications on the healthcare side probably have the most sustainability, because they’re monitoring issues that are life-threatening and extremely critical to the patient. We’re working on applications for devices that measure or monitor specific information, which is used to deliver care in a cost effective manner. The overall size, effectiveness and delivery are critical. All of these technologies are within 3M’s sweet spot. We’re excited about and amazed at the innovations our customers are making in the market place, and how this pairs with part of our vision to help improve lives. Creating a simple-to-use product is vital to creating a great user experience in any industry, but in the medical industry, simplification can, quite simply, save lives. 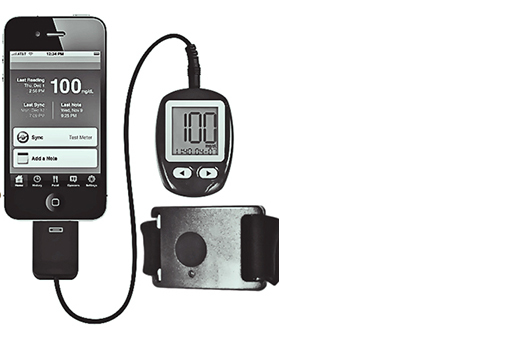 From glucose monitors to heart monitors, the mobile technology market for medical products continues to expand. 3M Medical Materials & Technologies helps health care manufacturers design and build more reliable, innovative and feature-rich medical devices. Choose from a variety of transparent, nonwoven, or conformable double sided tapes for your medical device needs.